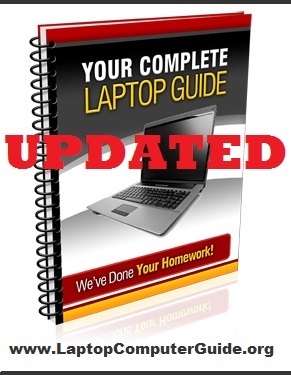 Latest Hewlett-Packard laptop and desktop coupon deals have just been listed on the Bizwaremagic.com site - get up to $250 off. Holiday bargain hunters can get $100s off popular Hewlett-Packard laptops, desktops & printers by simply using these coupons. New HP Thanksgiving special deals and coupons are listed on the Bizwaremagic.com site, which runs an ongoing Laptop Buyer's Guide for its visitors and subscribers. Alert holiday bargain hunters can receive up to $250 off popular laptops, desktops and accessories. 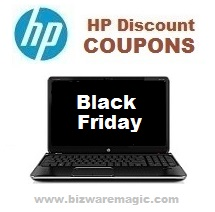 Black Friday's offers will be listed on the same page once these coupons are released by Hewlett-Packard. In addition to ongoing offers, HP is featuring the following general Thanksgiving deals where customers can add a 20 inch monitor to any PC purchase for just $69.99 or add a 23 inch monitor for only $89.99. Buyers can also save 50% on wireless speakers that are discounted at around $20 and take 25% off all HP Omen gaming accessories. Laptop discounts include the following offers where potential buyers can take $200 off the 15t Envy Touch with 3D camera and receive $250 off the Envy 17t Touch, which discounts at around $750. Door Busters include $150 off HP 15z Touch, which start at $399.99. Desktop offers include the following: Get the lowest price ever for the 18-5110 all-in-one PC which is priced at only $289 or take $150 Off the HP 110t Desktop i3. Door Busters include only $349 for the 110t desktop with the i3 Intel processor and just $449 for the 21z Touch all-in-one PC. Bizwaremagic.com will constantly be updating its site as new HP coupons become available so interested buyers should bookmark for future reference. Potential customers should note that many of these discounted items are limited in quantity and may be discontinued at any time. Please see the official Hewlett-Packard site for all terms and conditions. This special HP Notebook Coupons Page can be found here: http://www.bizwaremagic.com/HP_Notebook_Coupons.htm or download our comprehensive free laptop buying guide here: http://www.laptopcomputerguide.org All products/companies mentioned above are registered trademarks of their respective owners and companies.